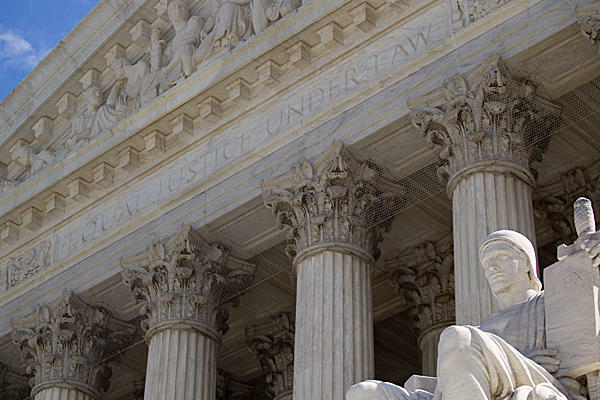 Are you interested in the U.S. Constitution’s limits on the General Assembly’s authority or how the Colorado Supreme Court interprets our statutes? For the last ten years, I have presented a program that covers the previous year’s cases from the U.S. and Colorado Supreme Courts focusing mostly on those themes. Here are some of the highlights from this year; information on the complete program is at the end of this article.Legislators, did you know that when you vote, it is not a First Amendment activity? In Nevada Commission on Ethics v. Carrigan, 131 S.Ct. 2343 (2011), the U.S. Supreme Court decided that a legislator’s vote is not protected by the First Amendment. The Court found that “the legislative power . . . is not personal to the legislator but belongs to the people; the legislator has no personal right to it.” Further, the Court stated “the act of voting symbolizes nothing.” So, the law that prohibits you from voting on legislation when you have a conflict of interest does not violate your First Amendment right to freedom of speech. For the second time in the last four years, the U.S. Supreme Court found unconstitutional a campaign finance system that was premised, at least in part, on leveling the playing field. Arizona has a publicly funded campaign finance system that gives a candidate who runs a publicly financed campaign a lump sum to start that campaign and then additional money in a dollar-for-dollar match if the candidate’s opponent spends more than the publicly funded candidate’s initial lump sum. In Arizona Free Enterprise Club v. Bennett, 131 S.Ct. 2806 (2011), the U.S. Supreme Court found the matching provision of the Arizona system placed an untenable burden on the First Amendment speech rights of an opponent of a publicly funded candidate. The Court found that although the system could create more political speech, it would only be for one type of candidate and that it did so to the detriment of the other type of candidate. The U.S. Supreme Court found in Chamber of Commerce of U.S. v. Whiting, 131 S.Ct. 1968 (2011), that states have some authority to enact immigration enforcement provisions. Arizona law sanctions the license of an employer who knowingly or intentionally employs an unauthorized alien. Arizona also requires that all employers use E–Verify. The Court found that federal law does not preempt either of these state law provisions. The Court noted that Congress specifically gave states the authority to enact licensing sanctions for employing unauthorized aliens and Congress was silent on how states can use E-Verify. The Court therefore determined that Congress intended states to act as Arizona did. Locally, the Colorado Supreme Court decided that the personal cell phone records of state officials are not open records. In Denver Post v. Ritter, 255 P.3d 1083 (Colo. 2011), the Colorado Supreme Court found that Governor Ritter’s personal cell phone records were not made by the Governor, nor were they kept by the Governor for use in his official functions, therefore they fall outside the statutory definition of public records and are not discoverable under the open records laws. If you are interested in the complete presentation, including discussion of eight more cases that cover issues such as the First Amendment, privacy rights, and Colorado statutory interpretation, please contact the OLLS front office at 303-866-2045 for the materials and an audio link to a recording of the program. Previous Post: Why is the title of a bill so important? Next Post: Can I ever introduce more than 5 bills?